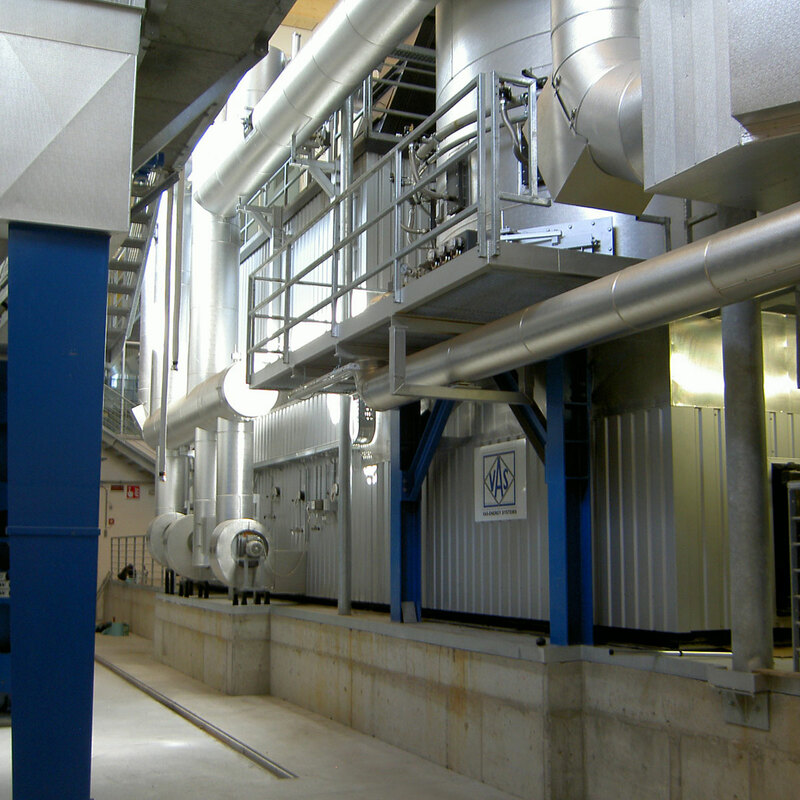 In the first phase two biomass boiler with total amount of 16MW were installed 2001. Each boiler has its own ESP for dedusting under 20mg/m3 (limit value). 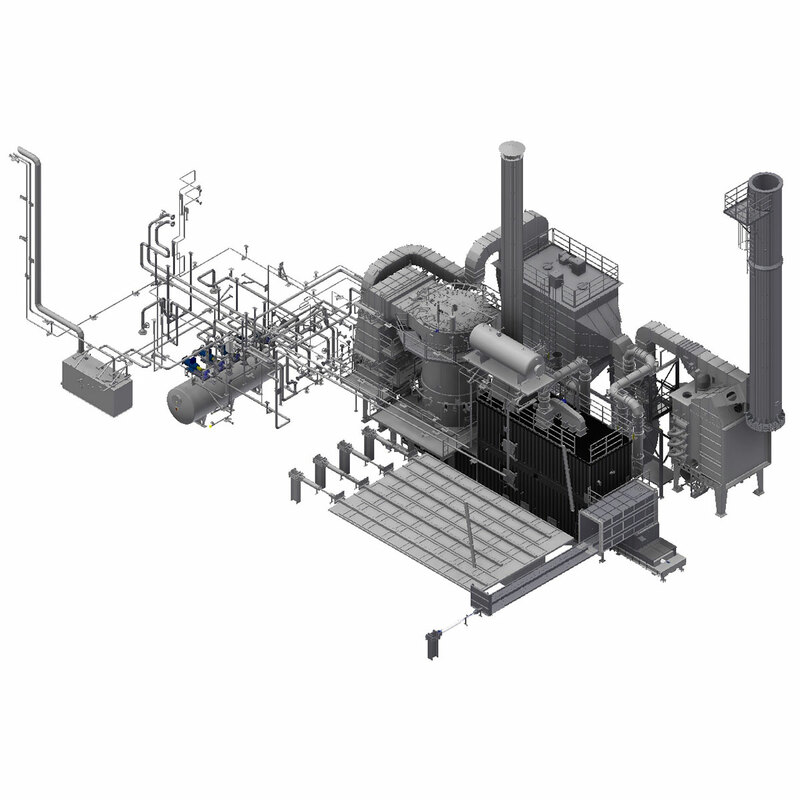 After ESP`s the two gas streams are combined to one to be treated in one Condensation Unit. 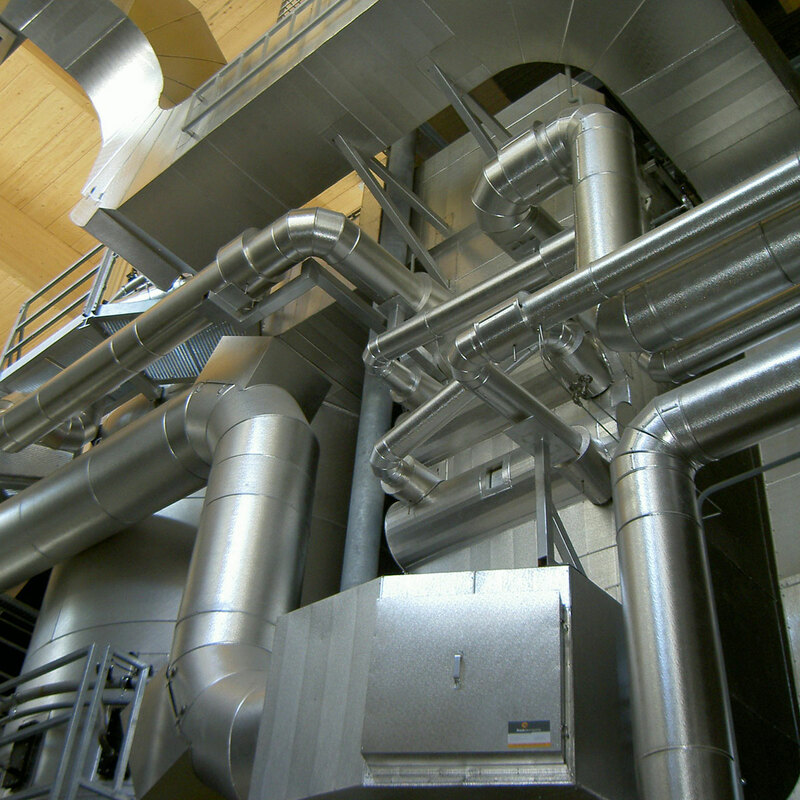 Exhaust gases are cooled down to 40°C and will being released to the chimney. Condensation Unit has three effects: Heat recovery, fine dedusting and devaporization. Regularly six-month measurements at the plant confirms a max. dust concentration after the Condensation Unit of 5mg/m3. After additional expansion stages of district heating capacity in year 2002 and 2004 a VAS thermal oil plant for 6,5MWth followed in year 2011. Additional to generated heat, electrical power of 1MWel is produced in connection with an ORC unit which is feed into the grid. 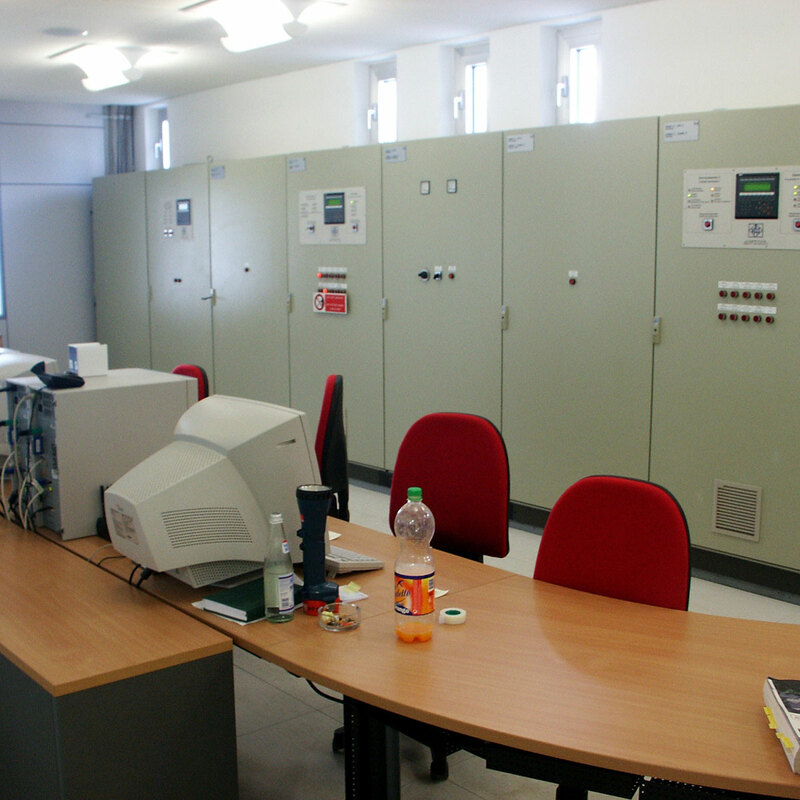 Community Bruneck operates largest district heating grid in South Tyrol (North Italy). Since year 2001 110km pipes were installed and 95% of all possible customers are connected. 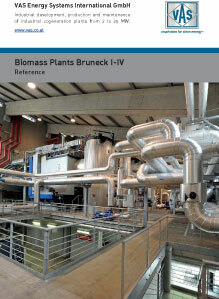 All plants at Bruneck together burn in average an amount of 50.000tons of biomass per year which means approx. 75% of the total amount of heat consumption (109 Mio kWh). 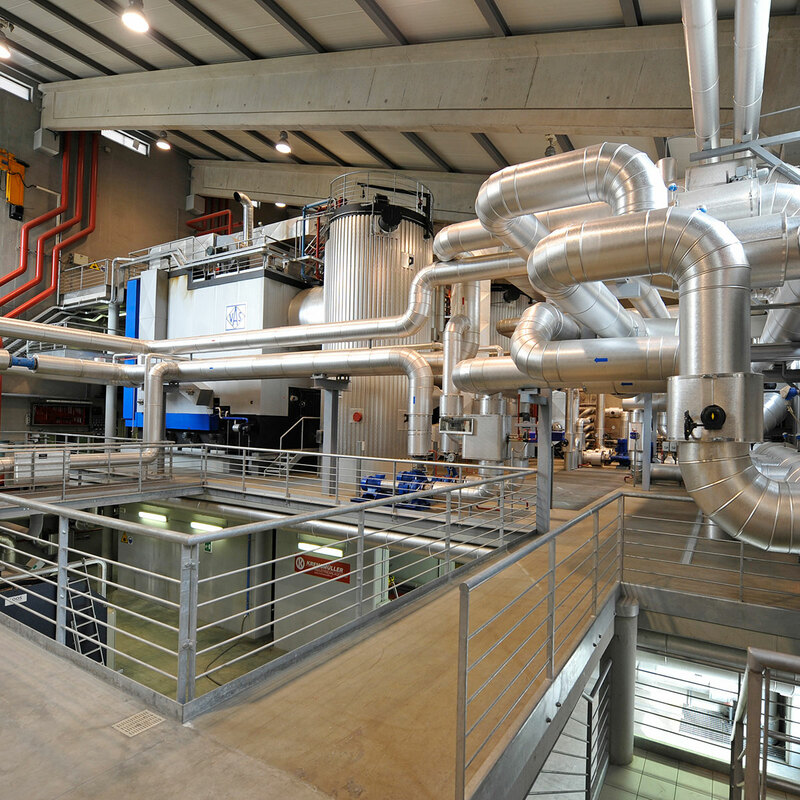 In autumn 2008 an additionally 1,78Mio liter large heat accumulator (buffer storage), which represent the largest kind of this unit in the Alps, was installed for a better cover of peak demand.